Got two 450's from ebay. Time to boil out the old, an I mean old lube. Had to boil one so long I lost the factory paint. The other I just had to keep dunking back n forth. Hope to get some primer and a top coat of clear on it tomorrow. Called Lyman and they are sending two new handle upgrades too. Last edited by MOA; 02-10-2019 at 03:28 PM. What is Lyman charging for the handle upgrades on the 450? I 2 of them and would love to get to the new style handle and linkage. 22.71. Includes ram limmk and new style handle. Part number they sent me is 2745840, it not listedmon their parts site, so I tjink you would have to call to order the kit. Yes, you have to call them and ask for the handles. 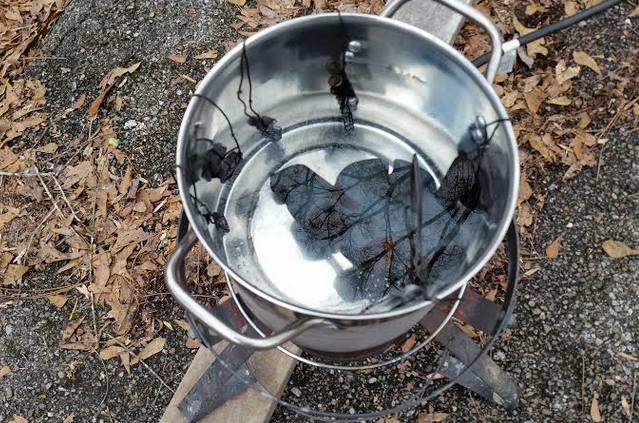 The image of my 450 I took before the water really got boiling, I knew how much old dark brown almost black lube was in this sizer that after it got going you would be able to see nothing in that pot. Just got it all primed and sanded today and gave it three coats of satin clear enamel. Will let it cure for 2 to 3 days before I start to re-assemble, hopefully the new handles will be here by then. Keep the old parts for the handles, trying them side-by-side, I actually found I prefer the older style linkage. I have. 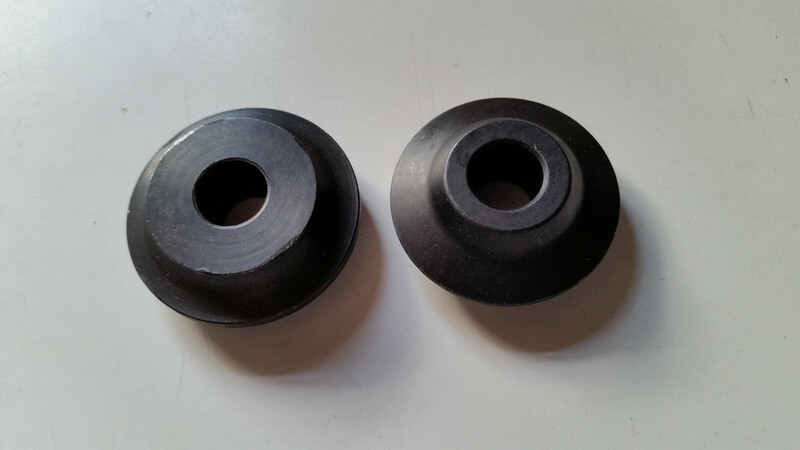 Most of the initial linkage from these two presses have had the pins replaced by ill fitting bolts. That was the main reason for ordering the new handles. If I ever come across a supplier of assorted pins with cotter fasteners I will buy a bag full, I hate it when someone replaces a pin with a bolt for a lot of reasons. Thx hardcast. It's amazing how lyman can do this kind of upgrade and NOT involve the engineering department so their kit is fully functional. But I guess it's another factor that makes the apparent downhill slide of what used to be a top notch company. Good thinking and correct follow through is important to their customers and sometimes they really miss the mark. Hardcast, you were correct the linkage hits the cap. 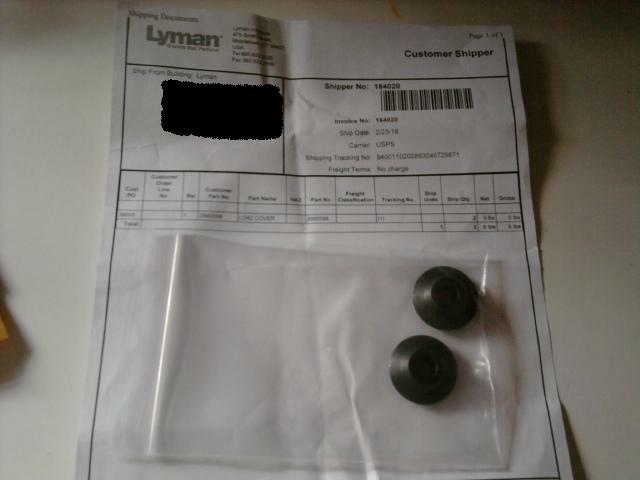 I called lyman, spoke to John a tech man, he asked me if I had gotten the new caps, I told him no, none came with my two kits. He is sending me two new caps no charge. Why not give him a call. Completed renovation on the 450's. 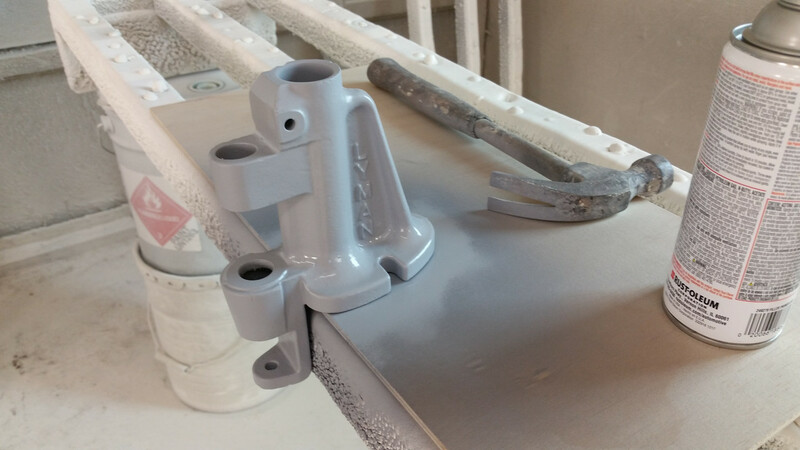 It may disappoint you to find that the new rams that come with the handle and linkage up grades are sloppy loose in the casting. 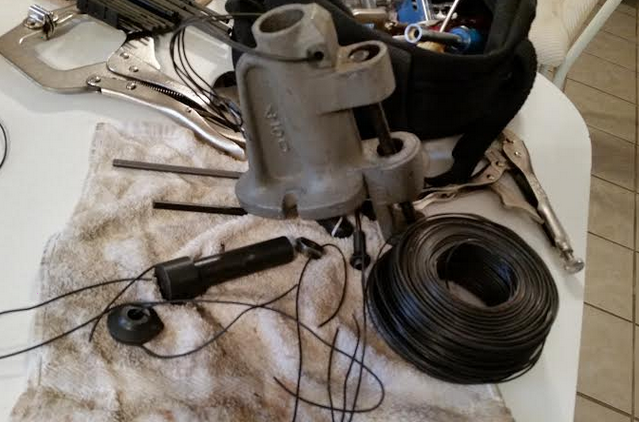 I have 2 of the old grey 450s and their rams are much better fits than the rams one the orange 450..
My new rams both fit really tight, I had to get out some 400 grit wet/dry to polish one of the lubers in order to get the ram in. The other one was a good snug fit without having to polish the inside. 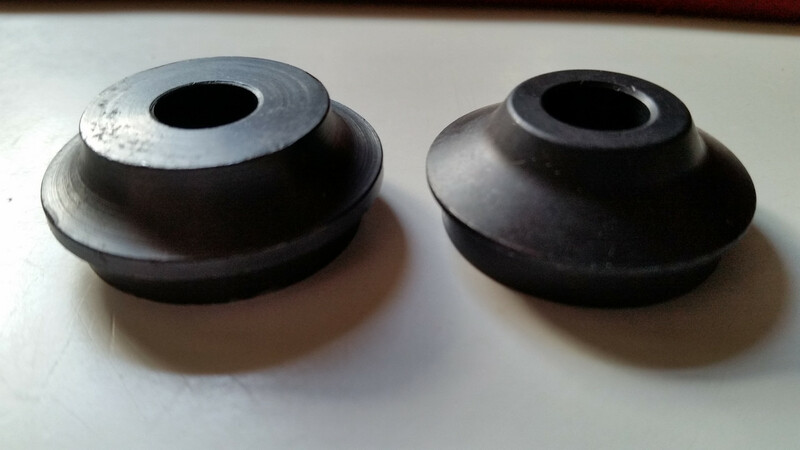 Also on the original caps not fitting with the new linkage, here's the follow up on that issue. Here are the new caps from Lyman. They just arrived today. I've taken some closeup images so anyone who has the old caps can see what you need to do to fix them if you don't want to wait for new caps from Lyman. 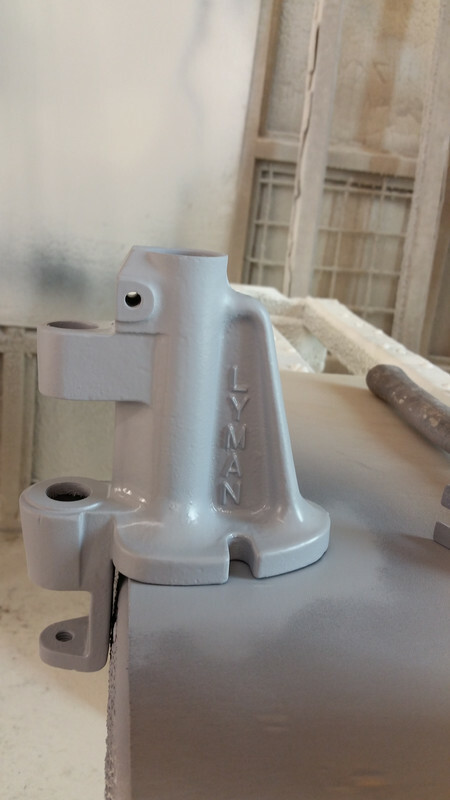 All Lyman has done is to increase the radius upwards to remove the extra metal on the old caps so it will clear the new linkage on the new handle upgrade kit. 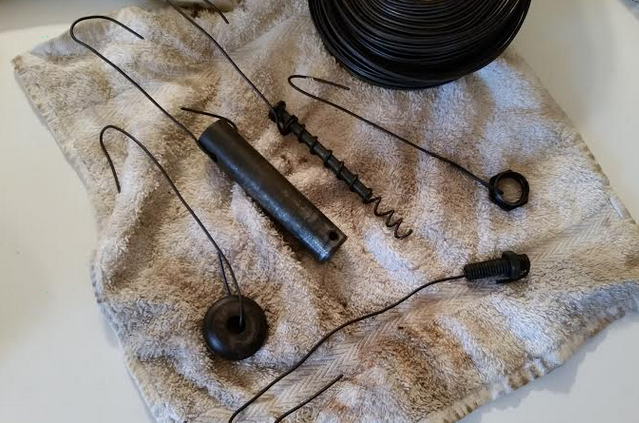 If you have access to a lath or someone who does these images might be helpful so you can do a quick fix. 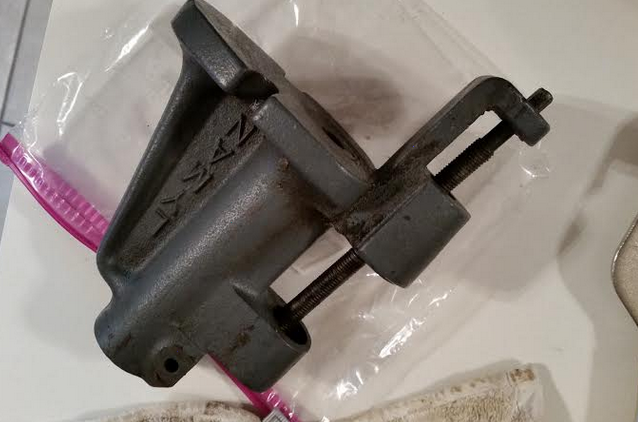 Likely also you might want to get the metal protected from rust if you are going to cut it away. Last edited by MOA; 02-27-2019 at 05:09 PM. Now there's a man who loves his equipment! A concours paint job on his lubrisizer! I have to agree uscra, I see my equipment as a investment. My time and money is hard to come by cheaply., and I hate spending my money twice for the same thing. I picked up an old Lyman 45 lube sizer for a steal a while back .It still had the wooden handle and the Chapman type ratchet with it . Was In pretty poor looking condition , but after a clean up and repaint with Hemi orange auto paint , it looks new and works extremely well . I did replace the split seal on the ram with a urethane one I machined up on the lathe .Also made a heater block , might never need it seeing I live in the tropics , but we do get some cold nights down to 6C in the dry season . I use a cheap soldering iron to supply the heat . Lubesizers here in OZ are not cheap new and used ones turn up very rarely and still command near new prices . Im pretty happy with the unit and get my dies direct from Lyman in the US .RCBS wont deal direct with OZ customers due to some protectionist deal with the Australian distributor. Wow BEB, looks like you did a bang up job on that puppy. Sweet looking machine. I have never seen one of those before. Your paint job would make anyone at GM green with envy. Its the very first lubesizer Lyman made and sold .Believe they are collectors items in the US now .But I wont be letting it go ,unless I get a later model .Cant do with out one now .Hemi orange is very close to the original colour .